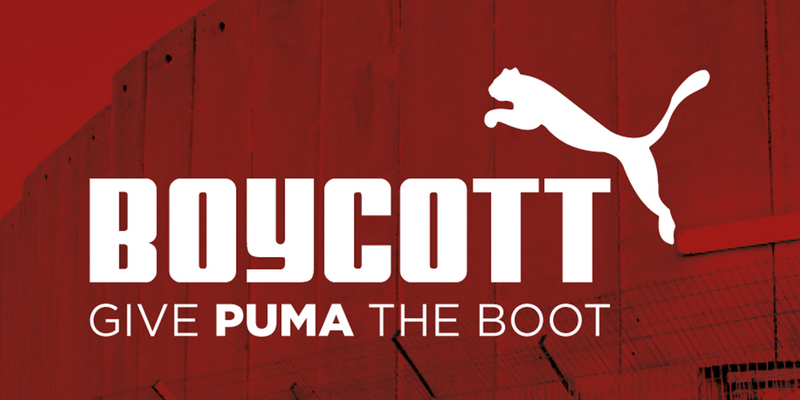 On the day of PUMA’s AGM, taking place on Thursday 18th April, join the #BoycottPuma twitter storm calling on PUMA to end its complicity with Israeli apartheid. Global sportswear manufacturer Puma is involved in violations of international law and human rights. Puma is the main sponsor of the Israel Football Association (IFA), which includes teams in Israel’s illegal settlements on occupied Palestinian land. Israel’s military occupation expels Palestinian families, including children, from their homes to give way for these settlements. Israeli settlements are considered war crimes under international law. 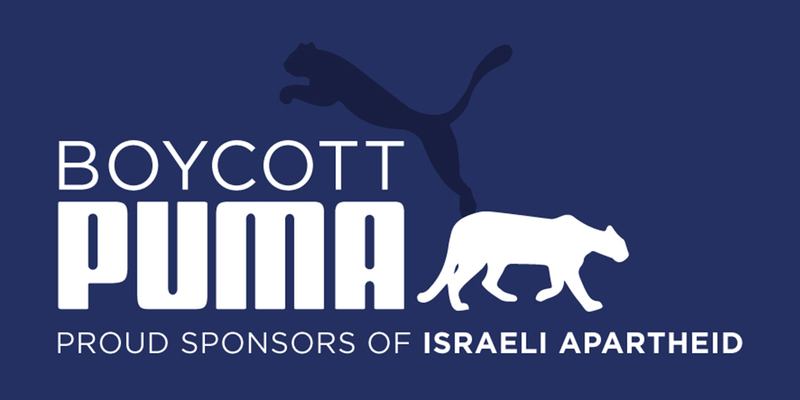 More than 200 Palestinian sports clubs have called on Puma to end the sponsorship deal and stop supporting Israel’s illegal land grabs.